Here are the leading and most popular radio channels broadcasting in the Singapore. Most of them are typically promoting local music, culture and news. In case of getting any radio, not working properly here, please contact us. Other stations are also provided on this website (which is completely dedicated to Singapore radio), you may also listen to them live here. 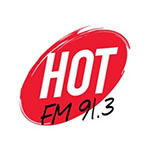 Below are specified the Singapore hottest stations, listen Singapore radio stations online, choose any of them from below.